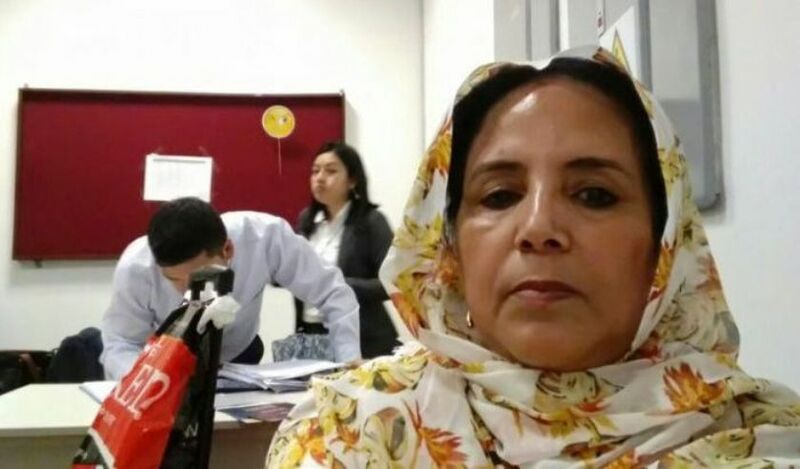 Khadijatou, aka Jadiyetu El-Mokhtar, an international relations officer of the “Union Nationale des Femmes Sahraouies”, an organization affiliated to the Polisario, landed this weekend at Jorge Chavez airport in Lima for a visit to Peru, but the border police denied her entry. Khadijatou, who presented herself as a so-called ambassador of the pseudo-Sahrawi republic “RASD”, was to be expelled Sunday by the Peruvian police on a flight departing for Spain. The border police did not reveal any details of the motives of the expulsion of the Sahrawi woman who, according to the website telesurtv.net, is placed on “red alert”, yet Jadiyetou El-Mokhtar holds Spanish nationality and travels with a Spanish passport. Peruvian lawyer Dante Díaz Wong, who was hired by the Algerian embassy in Lima to defend Jadiyetu El Mokhtar, told telesurtv.net that “they (Peruvian security services) do not allow me to talk to her and refuse to show me the order that prohibits her from entering the country.They also refuse to tell me who is the official who signed this order”. Officially, Jadiyetu, a native of Dakhla, a town in the extreme south-west of Morocco, was invited to Peru by the “Peru-SADR Parliamentary Friendship League” to participate in a session of the foreign relations committee of the Peruvian Congress. But according to another well-informed source in the Tindouf camps, Jadiyetu El-Mokhtar was commissioned by the Polisario leadership to go to Lima to sensitize the Andean movements to the Polisario’s separatist claims. After the serious blows they suffered in Africa in the aftermath of Morocco’s triumphant return to the African Union (AU), Polisario leaders and their Algerian sponsors fear a remake of this Moroccan breakthrough in Latin America. Actually the first sign of this remake was the re-establishment of Morocco’s diplomatic relations with Cuba, a Polisario’s strong ally in Latin America.